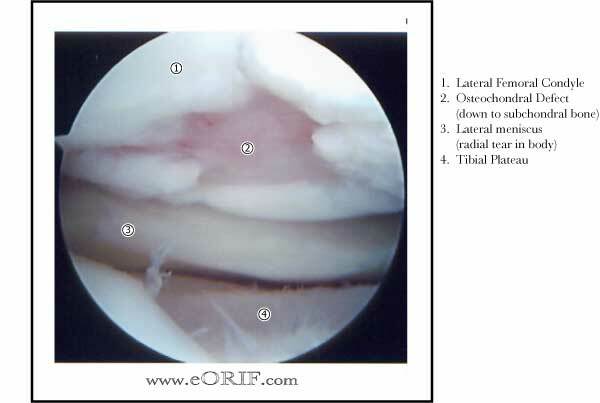 articular cartilage defect with intact cartilage space document on xrays. Lesions should be well contained with normal cartilage margins. typically limited to defects of 2 cm or larger (up to 10 cm2), and where more than one lesion is present and are nonarticulating. Greater than 6mm of bone loss. Underlying etiology of defect and any pathomechanics must be identified and corrected. 94% graft survival at 36months (Micheli LJ, Clin J Sport Med 2001;11:223). 82% good/excellent outcomes (Petersen L, AJSM 2002;30:2).